NEW YORK (AP) — Attorneys for Michael Cohen are asking members of Congress to help keep him out of prison. In a letter sent to lawmakers Thursday, Cohen’s legal team said he is still sorting through documents in his personal files that might be of interest to House Democrats investigating President Donald Trump, including emails, voice recordings, images and other documents on a hard drive. 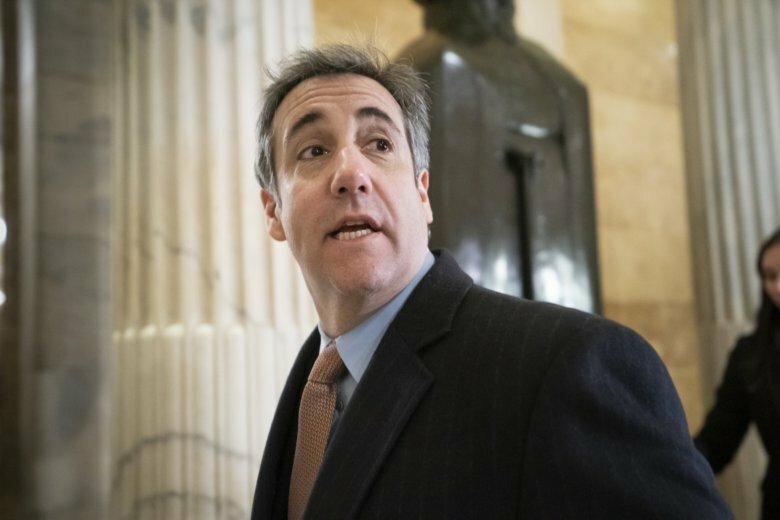 “To date, Mr. Cohen has located several documents that we believe have significant value to the various congressional oversight and investigation committees,” wrote the attorneys, Lanny Davis, Michael Monico and Carly Chocron. They said Cohen, Trump’s former lawyer and fixer, has been going through the documents alone, without any help, and if he reports to prison May 6 as scheduled, he won’t be able to finish reviewing the material. In their letter to lawmakers, Cohen’s lawyers said they were still holding out hope that federal prosecutors in New York would not only back another delay in the start of his prison term, but agree to reopen his case and advocate for a lighter sentence. He has been sentenced to a three-year term.